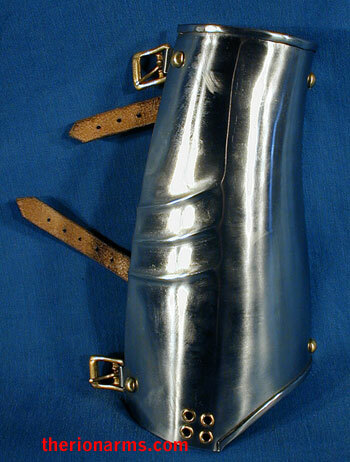 Arms harness (rarebrace, vambrace, and couter) in the German Gothic style, circa the late 1400's. 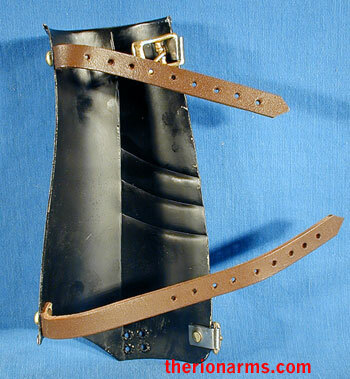 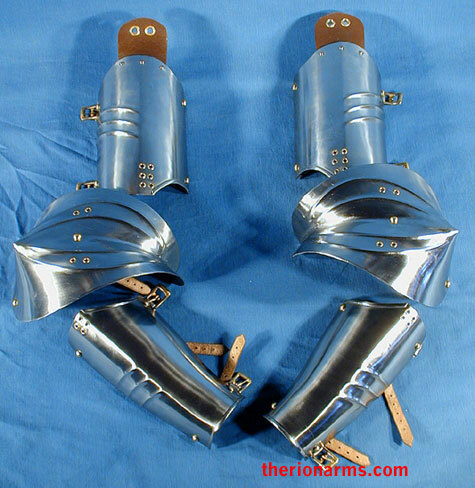 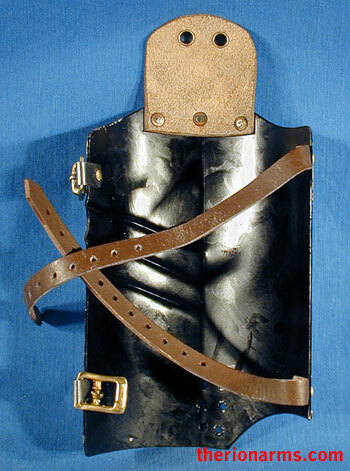 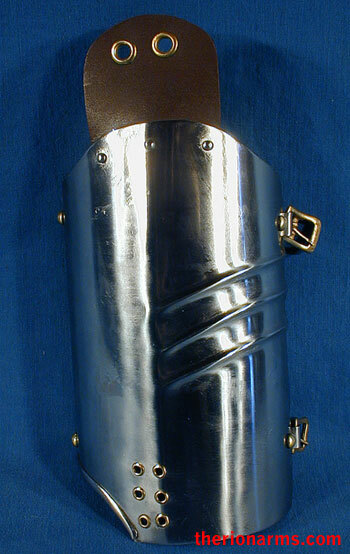 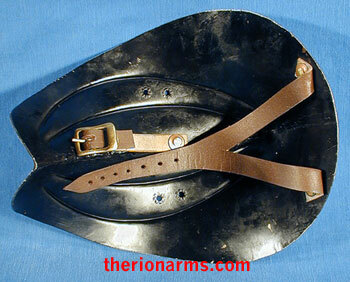 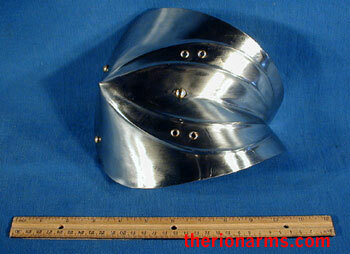 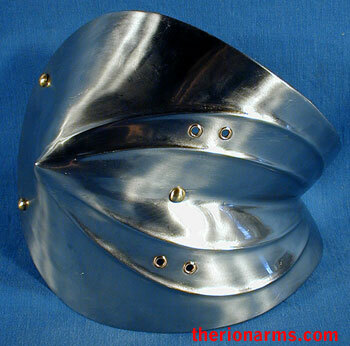 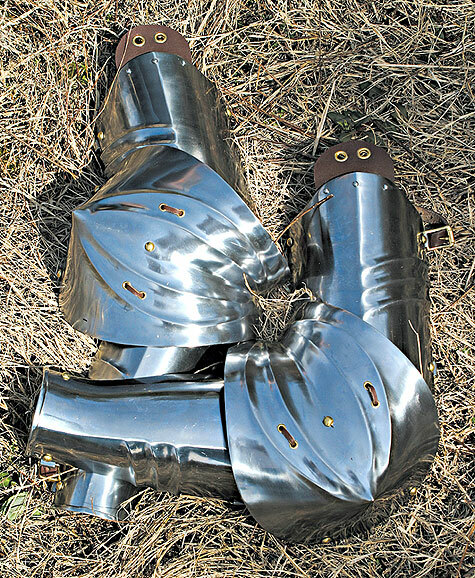 The rarebrace and vambrace are one-sided, and join in harness to the couter (elbow cop). 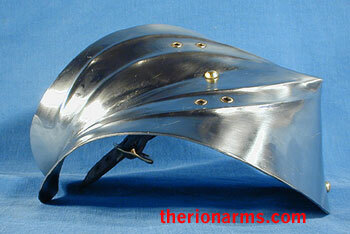 Handmade from 18 gauge steel, formed, fitted, fluted, and polished. 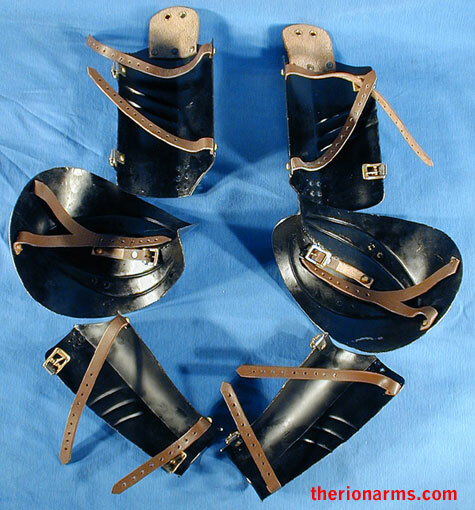 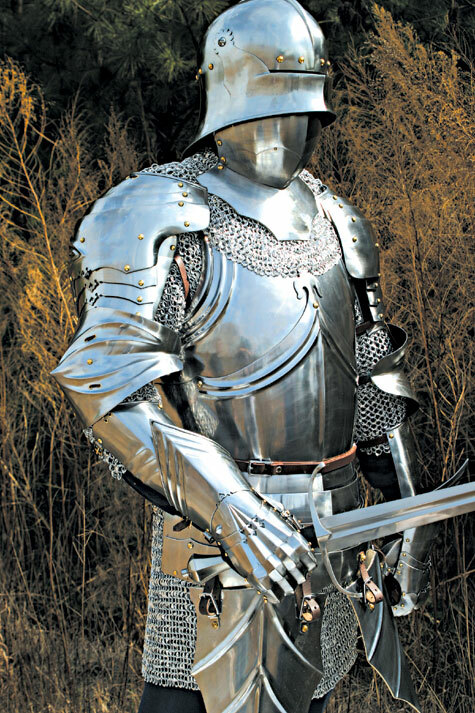 Pictured above on their own and with the cuirass, pauldrons, and mitten gauntlets, which are available seperately.